Topic: My honeypot ants don’t seem to be waking up from winter. Topic: What happens if I keep formica fusca in a lasius niger hybrid (old) nest? Re: What happens if I keep formica fusca in a lasius niger hybrid (old) nest? Biggest issue will be size, just made sure there is enough space for the queen to move around in there. Generally Formica are bigger than Lasius. 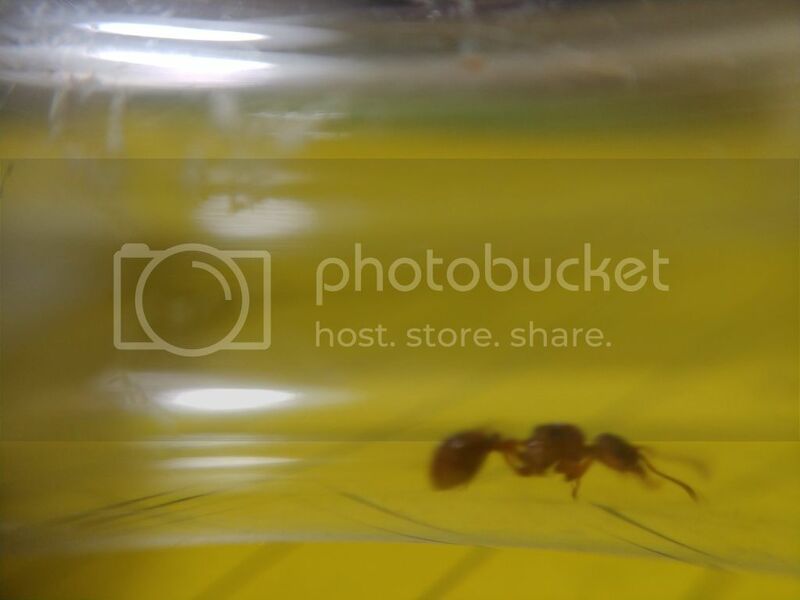 Topic: [Help fast] Should I remove honey from my ant queen if she is not eating it? 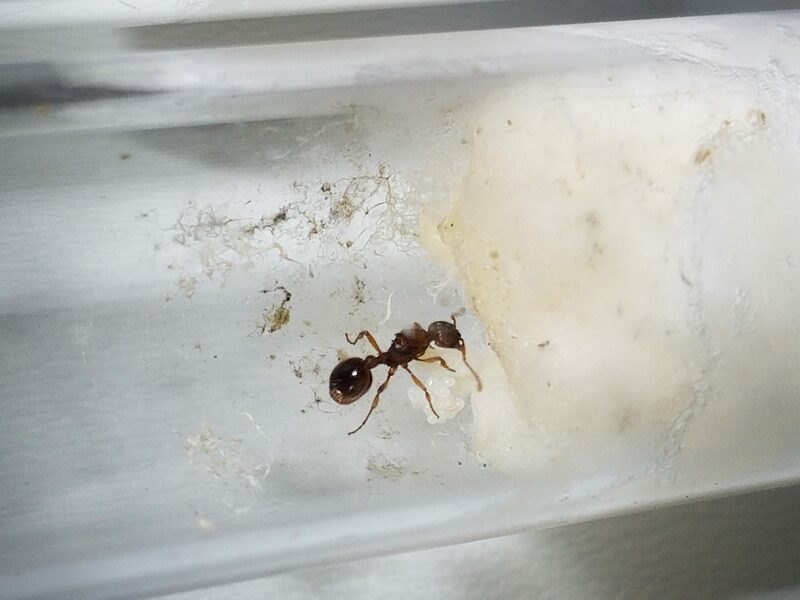 Re: [Help fast] Should I remove honey from my ant queen if she is not eating it? I generally start at the end of feb. Id take them out of hibernation, get them warm, and start putting food in there. Wow, that first picture looks like she has that little spike behind her abdomen. Here is a pic of my queen. Gaster is huge due to constant feed. Gotta get her a little protien too! Just hook the good test tube upbwith tape, poke holes, and youre good! I have one like her. Some sort of myrmica i believe. They are semi-claustral!! Feed her! !